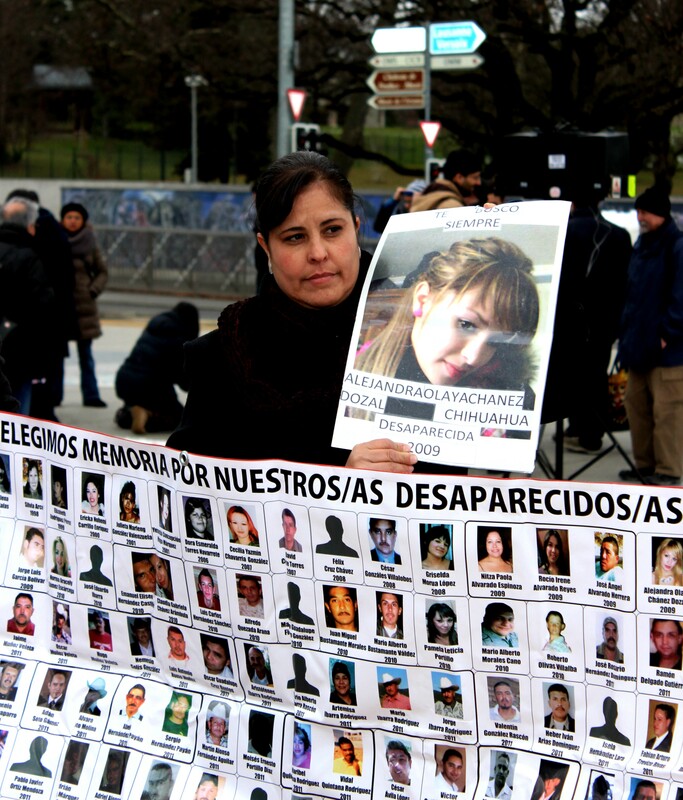 GENEVA—“Let us stand for a minute of silence,” Emmanuel Decaux, chairperson of the UN Committee on Enforced Disappearances (CED), told those gathered on February 2 in this Swiss city to discuss the grave problem of involuntary disappearances in Mexico. A high-level government delegation and a sizeable civil society contingent traveled from Mexico to attend the two-day event. 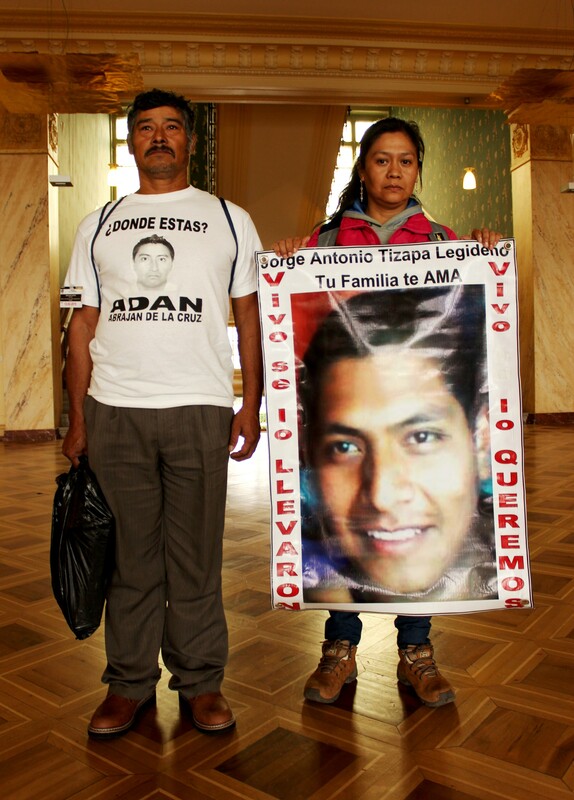 Several family members of missing young Mexicans were also at the hearing, including parents of students abducted by local police in Iguala last September. The disappearance of the 43 students from a rural teachers college in Ayotzinapa thrust Mexico into the international spotlight. “I am searching for my daughter Alejandra, who disappeared in 2009 in the state of Chihuahua,” Olaya Dozal explained. Her daughter was just 16 at the time of her disappearance. Dozal and her family live in Cuauhtémoc, a city that has had extraordinarily high rates of disappearances in recent years. Dozal saw the committee sessions in Geneva as a window of opportunity. She made the journey to advocate not just for her daughter, but for all people in Chihuahua who have faced similar fates. She would like to see the Mexican government help in the search for missing people, using all the techniques and technology available to them. “In fact, they do nothing,” she lamented. Guadalupe Fernández, whose son José Antonio Robledo Fernández went missing in the state of Coahuila in 2009, agreed the Mexican government has done nothing to help the many thousands of victims of forced disappearances. Speaking at a rally in front of the Palace of Nations, she told the gathered crowd that while the government fails to act, “we continue to live with this torment”. Daniel Joloy from Amnesty International said that Mexico faces a grave human rights crisis. Cases of enforced disappearances, extrajudicial killings and torture have risen alarmingly within the wider context of the US-backed war on drugs, launched in 2006. “It is very important to start a search within the first 72 hours,” the rapporteur continued. He queried why this had not happened in the case of Iguala, despite clear protocols issued by the Attorney General. Family members and classmates of the 43 students were forced to initiate their own searches and received little support from authorities. The rapporteur went on to say he was “shocked” to read that remains of another 40 people had been found in mass graves dotted around the town of Iguala. “Why has it taken so long for the Attorney General to open its own investigation?” he asked, stating that an immediate and systematic enquiry should have been launched. “We continue to face challenges that we need to overcome,” Juan Manuel Gómez Robledo, Undersecretary for Multilateral Affairs and Human Rights at the Mexican Ministry of Foreign Affairs, said in his opening statement. With reference to the forced disappearance of 43 Ayotzinapa students, Gómez Robledo said that there had been “an unprecedented criminal investigation”, while affirming that poverty, exclusion and corruption played an important role. In terms of the wider issue of forced disappearances, Undersecretary Gómez Robledo said that only once perpetrators have been punished and the disappeared persons found could Mexico “move from pain to reknitting the social fabric”. He reported that Mexico is open to help from foreign governments, stating the US, UK, France and Germany had already offered assistance. “We welcome constructive criticism,” Gómez Robledo stated, but warned “we should not just indulge in condemnation”. The committee asked when Mexico’s Ante Mortem-Post Mortem database, designed to help in the identification of missing persons, would be adopted nationwide. Eliana García Laguna of the Office of the Attorney General said that to date only 102 people have been identified through the database, which was launched in early 2013. Officials estimate that more than 20,000 people are currently unaccounted for in Mexico. “We do not forget that behind the numbers there are real disappeared people,” García Laguna stated. However, another delegate member confirmed that there are still six Mexican states that do not recognize enforced disappearance as a crime. The committee asked pointed questions about the controversial practice of arraigo, in which people suspected of connections to organized crime can be detained without charge for up to 40 days. The length of time can be doubled with a court order. 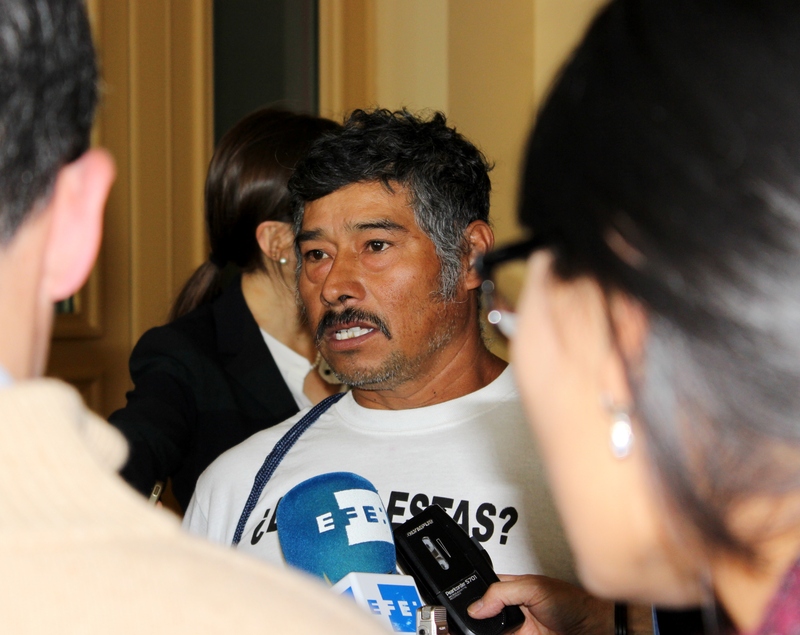 “We are aware of the abuses that arraigo can give rise to,” Gómez Robledo admitted. However he confirmed the practice would not cease when a new criminal justice system comes into effect in 2016. Rapporteur Luciano Hazan questioned why the Mexican government would keep the practice of pre-charge detention when it greatly increases the risk of forced disappearances. “It is very hard for the families; it is very hard for all the community,” Aguilar Rodríguez said of the Ayotzinapa case. NGO Tlachinollan has accompanied families of the 43 missing students since their abduction in September. “Without a doubt, what needs to change is the control that criminal groups have in state institutions,” Ruth Fierro Pineda, from the Centre for the Human Rights of Women in Chihuahua, said. She went on to explain, “What organizations like ours do is accompany the families of missing people, because often times we see that they are ignored if they are not accompanied by organizations.” Fierro Pineda said Mexican authorities often treat disappearances as isolated incidents, when instead they should look at the wider context and look for connections between cases. 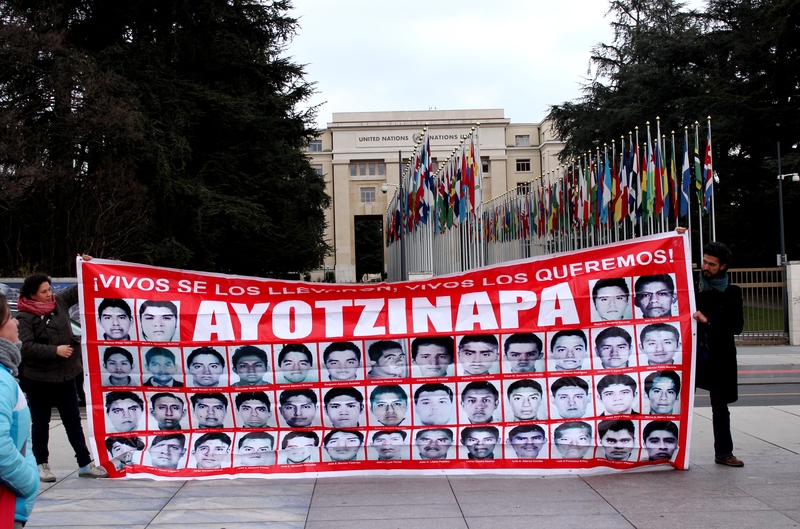 Ayotzinapa “is the tip of the iceberg”, Aguilar Rodríguez was careful to point out. “It shouldn’t be seen as something different.” Many thousands of families are currently living with uncertainty as to the whereabouts of loved ones, but she feels that Ayotzinapa “should serve as a turning point” for the situation in Mexico. While Joloy felt the CED sessions were a good opportunity for constructive dialogue, he was quick to point out Mexico has a poor track record of turning advice from international bodies into action. “Mexico today has more than 2,000 recommendations, but nothing is done with those recommendations.” He added that very few recommendations from a 2011 report by the UN Working Group on Enforced or Involuntary Disappearances have been adopted by Mexico to date. Fierro Pineda said the Mexican government gives the impression they are committed to improving human rights, as they have signed various treaties and they receive visitors from international human rights bodies. Mexico also has advanced legislation in certain areas, but she adds there is a large gap between what is written on paper and reality on the ground. “International cooperation is fundamental and the Mexican government has proven in the past that they are very sensitive to international pressure,” Joloy clarified. “That is why international communities should always keep pressuring Mexico in order to change their practices with regards to human rights.” Aguilar added that the international community must be clear that the current crisis extends beyond the 43 families of Ayotzinapa. Previous PostThe road to Iguala: the search for 43 students missing in MexicoNext PostCan degrowth help save our natural resources?